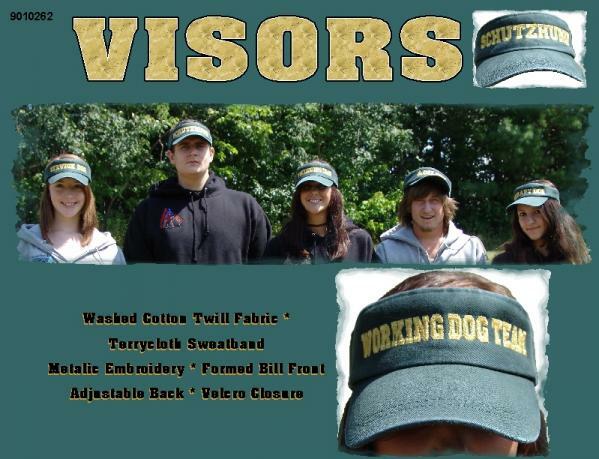 Our embroidered Visor is made from a washed, premium cotton twill fabric. 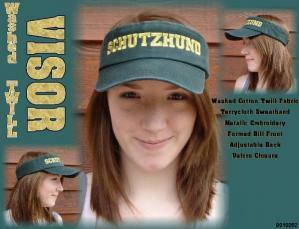 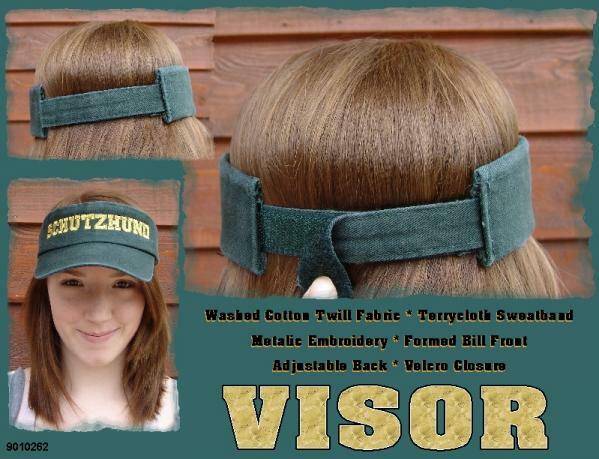 It has a terry-cloth sweatband, a formed bill, and an adjustable Hook and Loop closure. 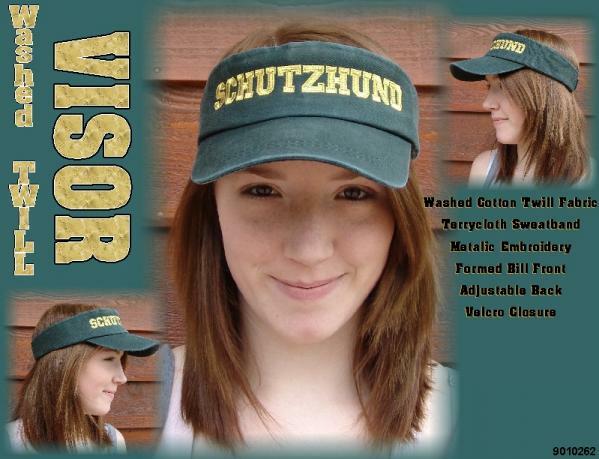 The lettering on the visor is done with gold metallic embroidery threads.